2018 sees us focus on three main areas. 1 - Improving achievement in writing across the school. With a special focus on learners who are behind curriculum expectations. 2 - Lifting levels of achievement in Mathematics. Supporting students to make accelerated progress. 3 - Developing student agency. Our school vision is captured in the four main parts of the Ngaio tree canopy as the four "P"s; People, Passion, Purpose and Potential. We believe that People come first and are central to our school, that developing Passion for learning and life is essential, that everything we do should be Purposeful and through this we will help unlock the Potential in all our students. Central to our vision are the Learners and their Hauora. Respect for the environment - Kaitiakitanga. The various smaller leaves of the tree stand for the key learning dispositions. We aspire to develop learners who are; Literate, Adaptable, Reflective, Compassionate, Socially Able, Motivated, Globally Aware, Leading, Connected, Creative, Resilient, Culturally Competent, Environmentally Aware and Practical. If you would like to read our 2018 School Charter click on the PDF file below. Papakaio School was founded in 1867 and its catchment area extends north to the Waitaki River, south to the hill properties bordering the Waitaki plains, east to State Highway 1 and west to encompass the Awamoko district. The school is located 15kms from Oamaru directly beside State Highway 83 which runs through to Kurow and on to areas of Central Otago. 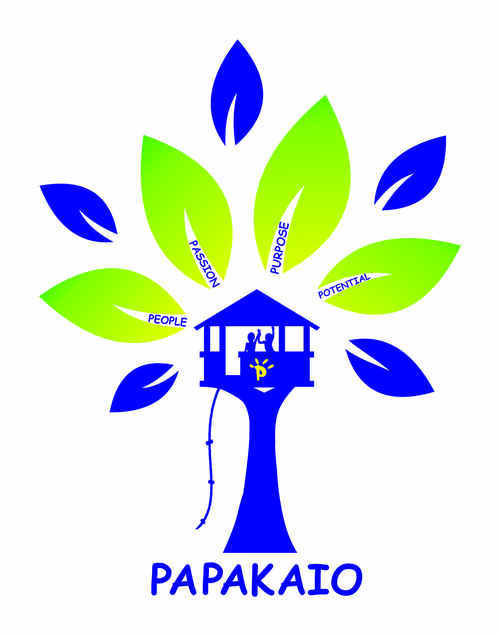 The major strengths of Papakaio School are its dedicated and effective staff along with a strong, supportive, rural community. Parental involvement in the school is substantial. All of which contribute to high expectations and pleasing levels of achievement. Papakaio children are committed learners who are a delight to work with.The school is sensitive to children's needs and makes every effort to provide for them. The school is well resourced and is committed to helping children fulfill their educational potential and prepare them for a successful future in a rapidly changing world. Teacher/Pupil ratios are maintained at a favorable level by the BOT. The school enjoys the added advantage of having excellent ancillary staff as well as parental assistance to call upon. The school and its Board of Trustees promotes a strong sense of co-operation, community, self-discipline and family, and extends to you an invitation to be part of it.